But let’s start with the saw. 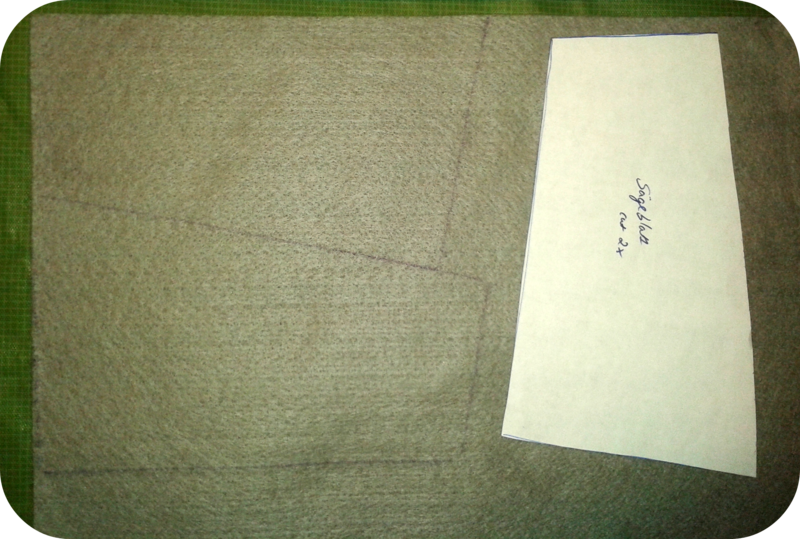 STEP 1: Cut the patterns for blade and handle. 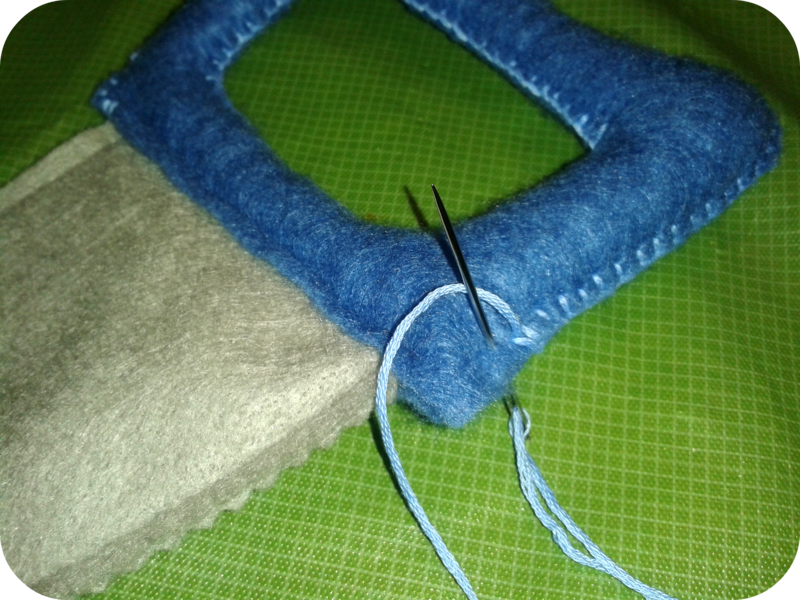 STEP 2: Transfer the handle pattern onto blue felt using white tailor’s chalk or a magic marker and cut the felt. 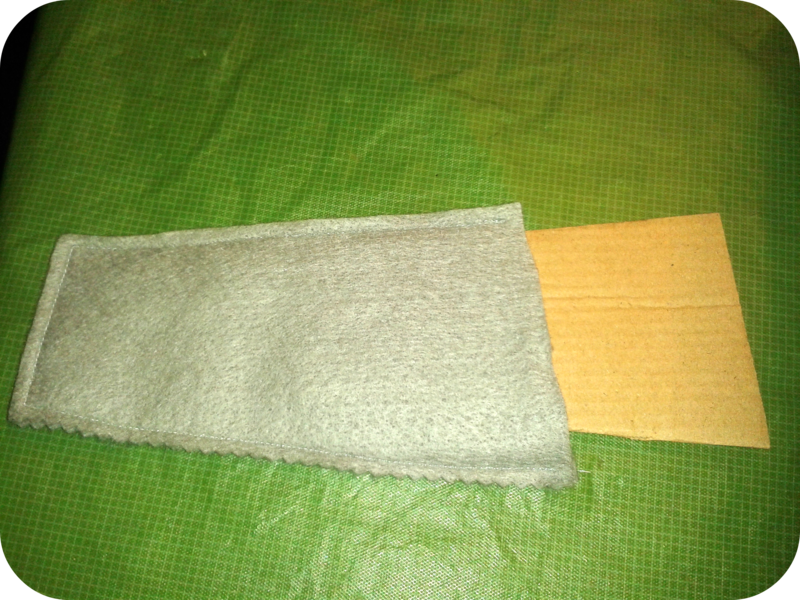 Similarly, transfer the blade pattern onto grey felt and cut it. You will need two pieces of each part. 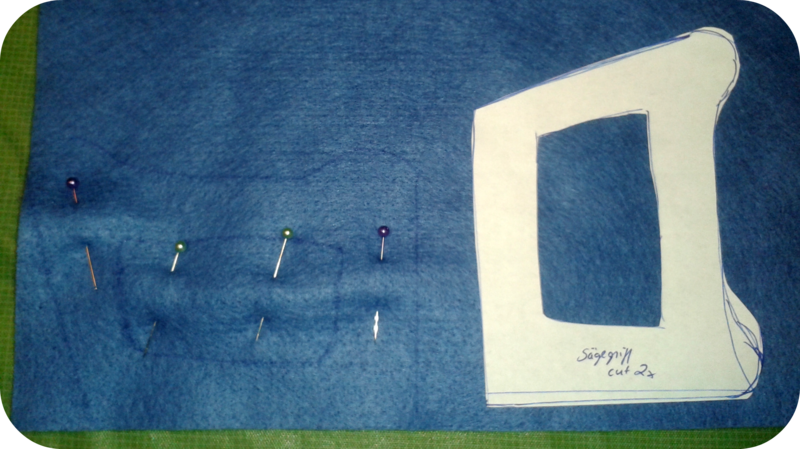 Basically, you can either pin two pieces of felt together and cut both simultaneously (see upper picture) or trace (and cut) the pattern two times (see bottom picture). 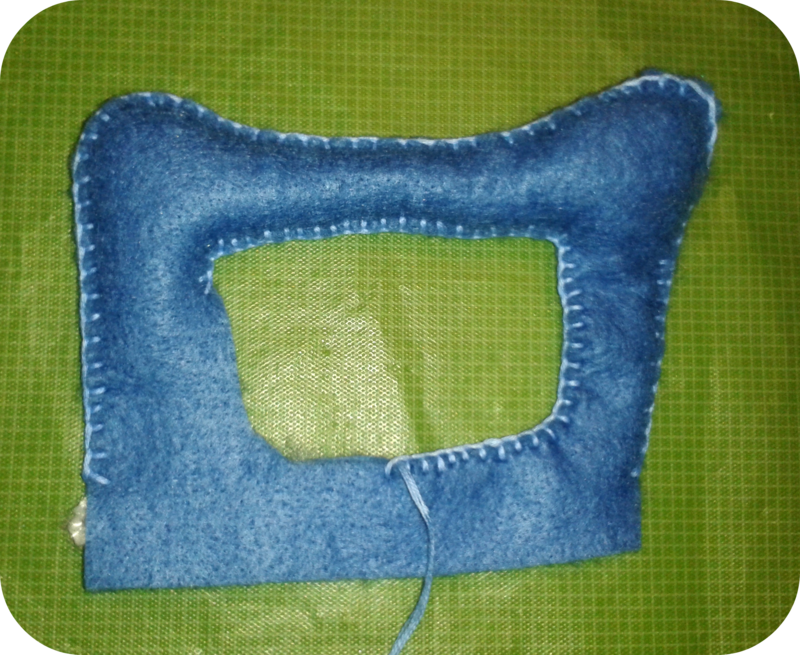 STEP 3: Start sewing the handle together with a blanket stitch. 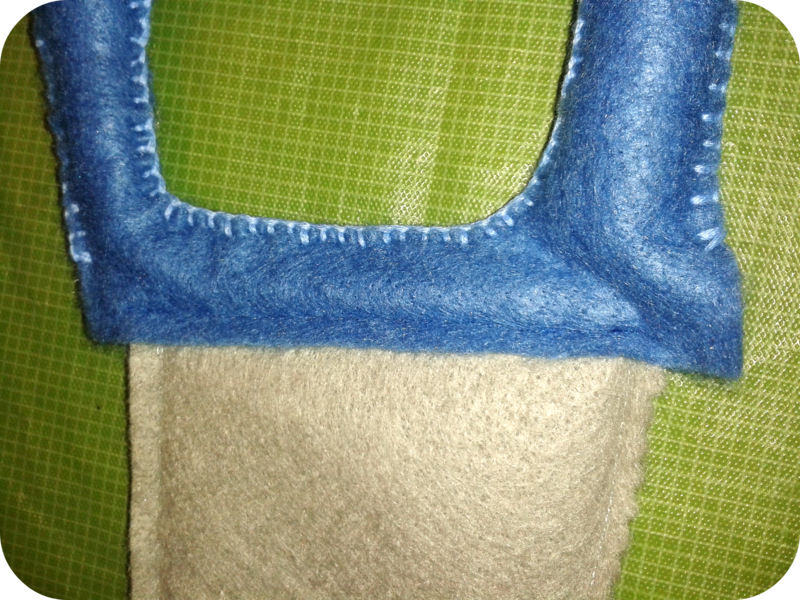 I used an embroidery needle with dark blue embroidery thread. STEP 4: Stitch the upper part of the handle close and start to stuff it using filling material (e.g., the inner life of an old or unused pillow). The ends of a shashlik skewer or pencil can help to fill the material through the small openings. Stuff until this part of the handle is quite tight. 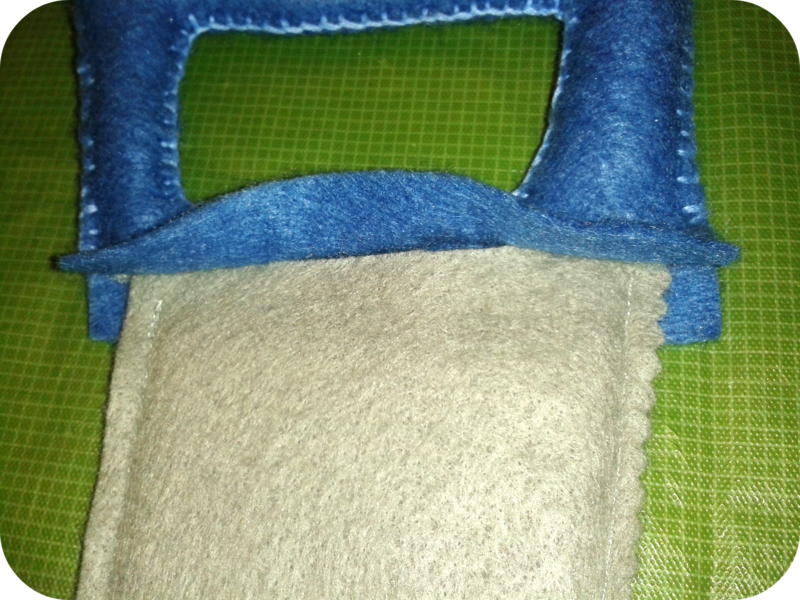 STEP 5: When the upper part is fully stuffed, continue stitching along the inner edge of the handle. Now stuff the sides, too. 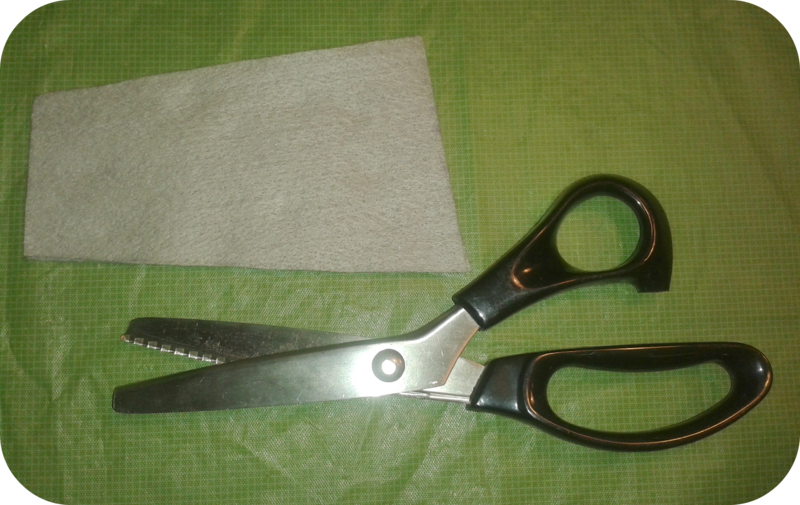 cut along the bottom line using your pinking scissors. Try to cut as close as possible to the edge. 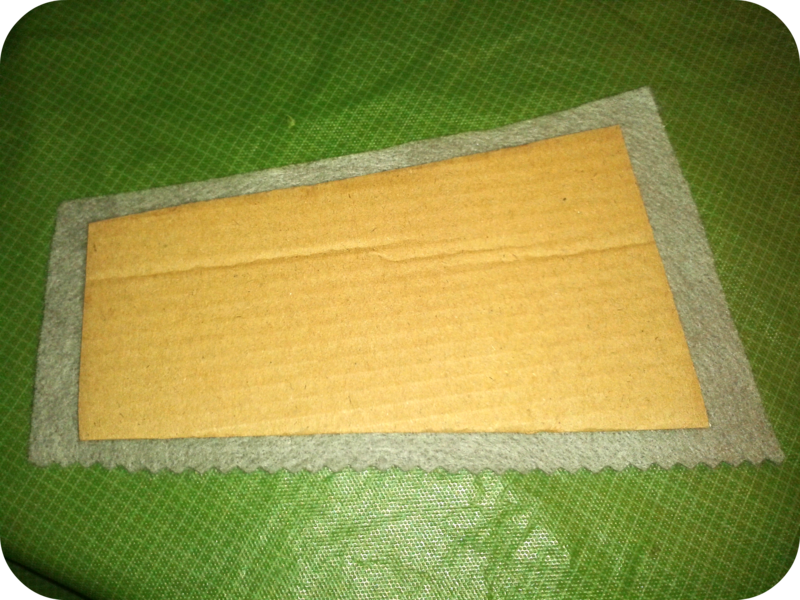 STEP 7: Cut a piece of cardboard into the shape of the blade but slightly smaller. STEP 8: Set the cardboard aside for a moment. 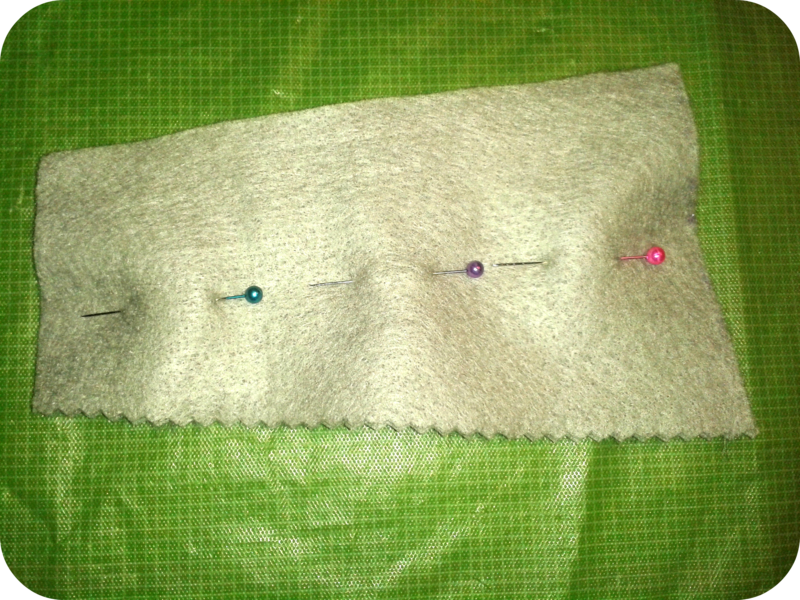 Place both blade felt pieces on top of each other and sew around them using a sewing machine threaded with grey thread. 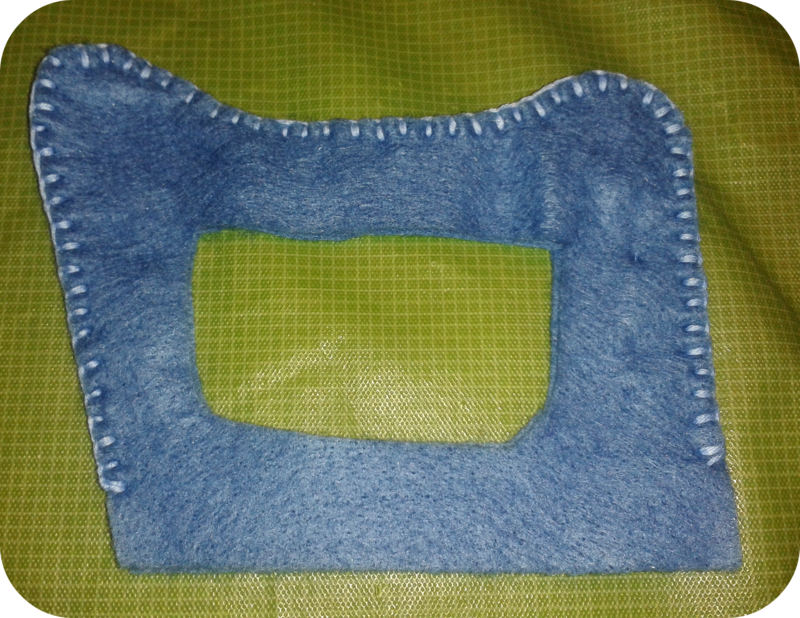 Optionally, you can sew this step by hand using a straight or running stitch. Next, insert the piece of cardboard for stability of the final blade. STEP 9: Insert the blade assembly into the handle piece as shown in the picture below. 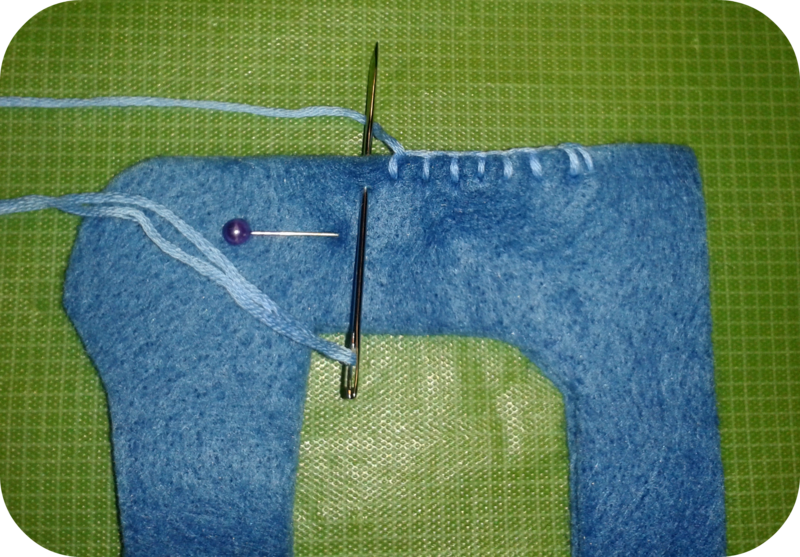 STEP 10: Sew the handle onto the blade using blue thread and a standard sewing machine. Through the holes at the left and right fill the lower part of the handle with filling material. 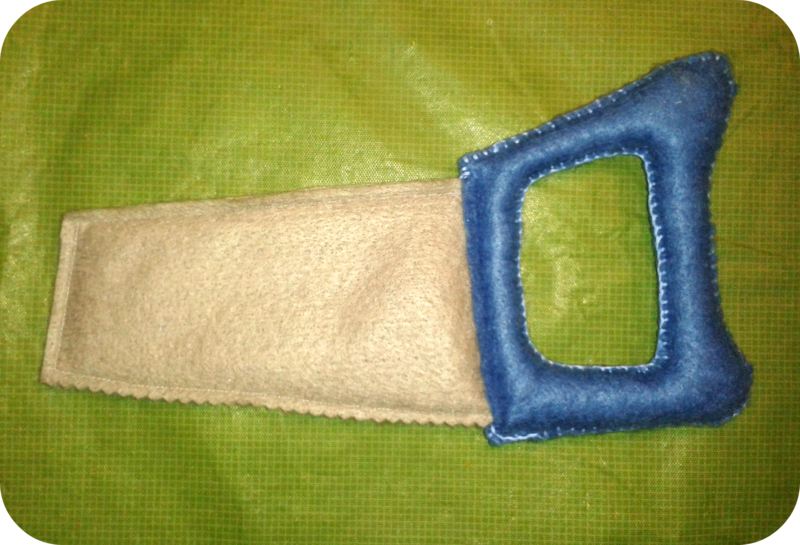 STEP 11: Last but not least, sew the sides of the blade closed as described in step 3. 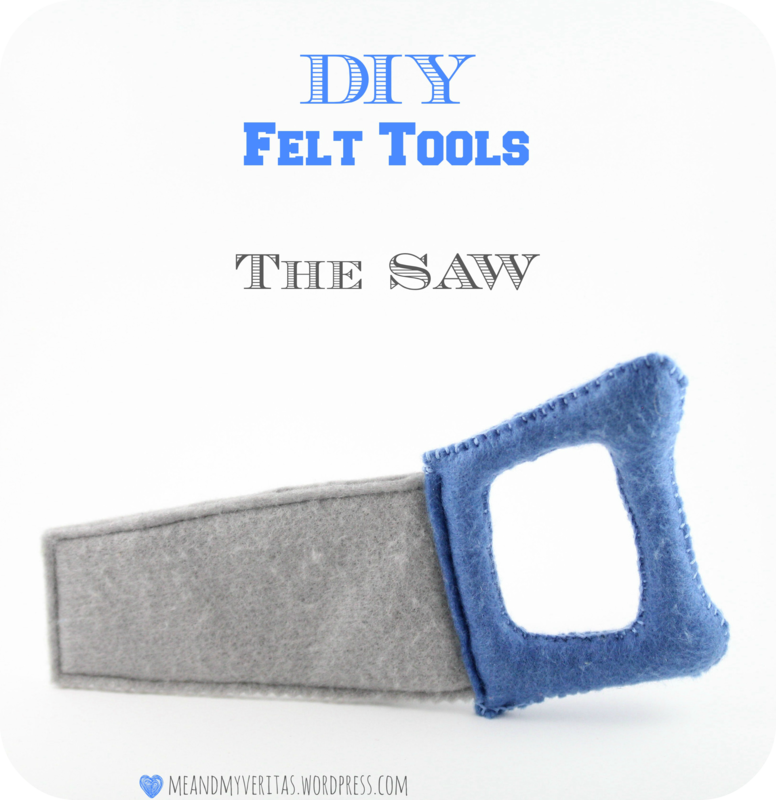 Hope you enjoyed the tutorial and good luck with your felt saw creation. 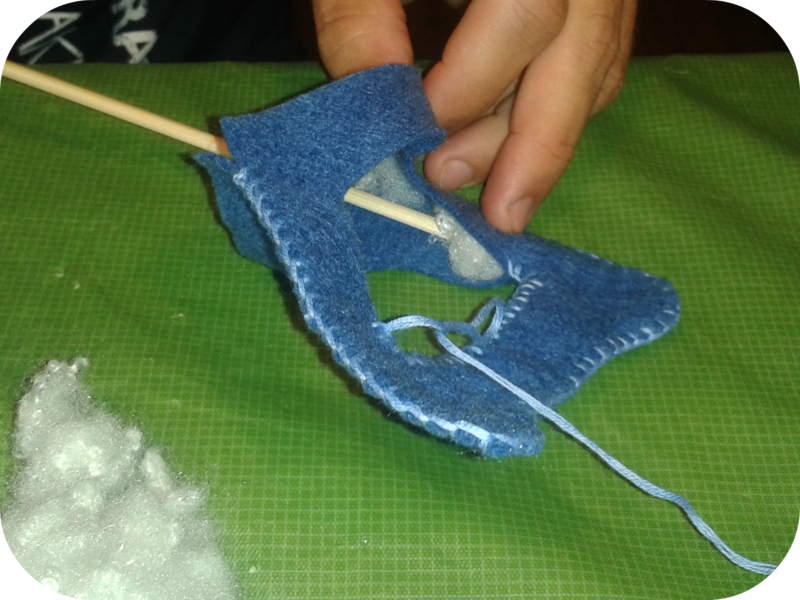 Please stop by again soon in order to learn how to make the other felt toys. If you like what you see on this site and have not followed this blog yet or liked Me & My Veritas on Facebook, please do it right away. Your support is highly appreciated! I’m linking this to Le Challenge. 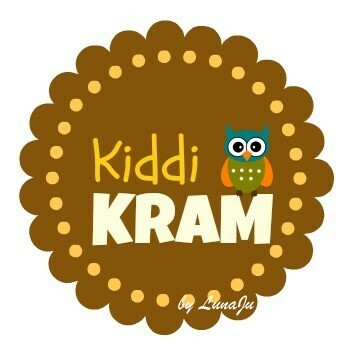 A new series! Looks fun and hope your son is having hours and hours of play with them! Well this is something I’ve never seen before! So cute! That is such a great idea! Very cute too. Thank you so much for your kind comment! 🙂 Just wait for the other tools.. 😉 Have a great day. Such a clever idea. 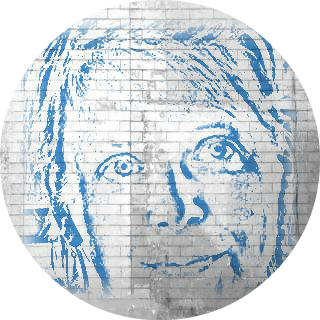 Looking forward to the next installment! Hahaha. 🙂 That’s wonderful and made my day! Sometimes I can’t believe that people like what I make. Thanks, thanks, thanks! What a lovely saw, can’t wait to see all the other tools! I really enjoyed reading about your son’s halloween adventure! I used to get a lot of children arriving at my door, I used to dress up too it was great fun. Thank you, Lucy, for your kind words. I’m glad you stopped by at my site. Your next theme is actually very very challenging… 🙂 Have a lovely day!